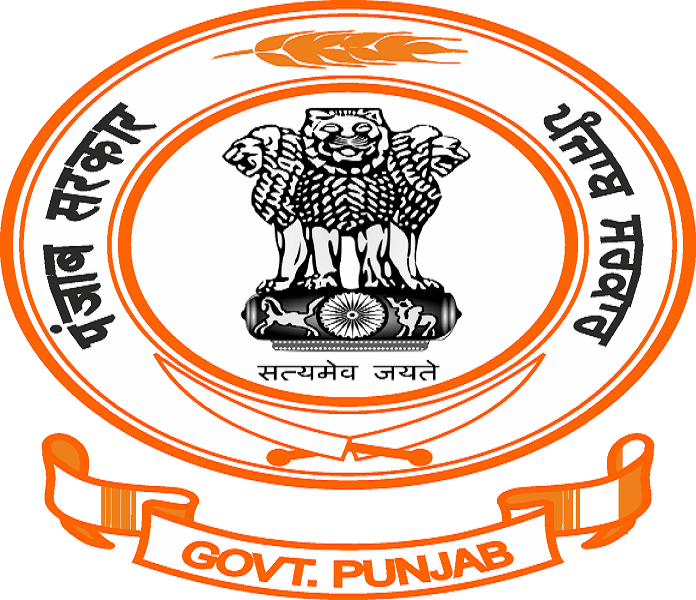 The Deputy Commissioner, Sangrur, as head of the district administration, is a functionary of the State Government, under the administrative control of Divisional Commissioner, Patiala. He/She has wide powers and manifold responsibilities. In many ways he/she is chief custodian of law and authority, the pivot on which runs the local administration. Deputy Commissioner is the executive of the district with numerous responsibilities in the sphere of civil administration, development, panchayats, local bodies, etc. Due to immense importance of his office, the Deputy Commissioner is considered to be the measuring rod of efficiency in administration. The Deputy Commissioner has an Office Superintendent under her, to supervise the work of the clerical staff. She guides functioning of different branches of her office. Each branch is headed by an Assistant and is functionally known after her. For example, the branch looked after by Establishment Assistant (EA) is known as the EA Branch, the one under Miscellaneous Assistant is known as the MA Branch etc. An Assistant has to perform two types of functions-supervisory and dispositive i.e. he has to supervise the work of the officials working under him, and also to dispose of many cases either at his level or by putting them up to his senior officers. An Assistant has one or more Clerks under him. The number of branches in the office of the Deputy Commissioner differs from district to district depending upon the requirements in each case, but more important branches existing in almost all the districts are, Establishment Branch, Nazarat Branch, Sadr Kanungo Branch, Development Branch, Miscellaneous Branch, Licensing Branch, Complaints and Enquiries Branch, Local Funds Branch, District Revenue Accounts Branch, Flood Relief Branch, Revenue Records Branch, Records and Issue Branch, Sadr Copying Agency, Registration Branch, Peshi Branch, etc. The Deputy Commissioner is the highest Officer of revenue administration in the district. In revenue matters, she is responsible to the Government through the Divisional Commissioner and the Financial Commissioner, Revenue. She is responsible for the collection of land revenue, other kinds of Government taxes, fees and all dues recoverable as arrears of land revenue. She is responsible for ensuring the maintenance of accurate and uptodate records of rights as regards the land. She is also the appointing authority for Patwaris and Kanungos and ministerial staff posted in the tahsil offices, and in the offices of Sub Divisional Officers (Civil) and Deputy Commissioner except in the case of Superintendent of Deputy Commissioner’s Office and for most of the subordinate revenue staff in the district. As the District Collector, she is the highest revenue judicial authority in the district. The Deputy Commissioner is responsible for the maintenance of law and order in the district. She is the head of criminal administration and supervises all Executive Magistrates in the district and controls and directs the actions of the police. She has supervisory powers over the administration of jails and lock-ups in the district. Besides her above mentioned duties as Deputy Commissioner, District Collector, and District Magistrate, she plays an important role as Deputy Custodian, under the Displaced Persons (Compensation and Rehabilitation) Act, 1954. In this capacity his duties are: revision against the orders of Tahsildars and Officer-in-Charge, Rural, regarding allotment of land and houses in rural areas; revision against the orders of the District Rent Officer, regarding allotment of houses and shops in urban areas and disposal of cases received from the Assistant Custodian (Judicial) regarding evacuee property. The position of Deputy Commissioner as head of the district administration has become one of expanding responsibilities. As she is the executive head of the civil administration, all departments in the district, which otherwise have their own officers, look to her for guidance and co-ordinaticn. She plays an important role in the administration of municipal committees, market committees, panchayats, panchayat samitis, community development blocks and the zila parishad, which came into existence with the decentralisation of authority and expansion of the Panchayati Raj. She is also responsible for the execution of rural development schemes. Besides, she is responsible, as District Election Officer, for the peaceful and orderly conduct of all elections held in the district from time to time. For elections to Lok Sabha constituency/constituencies of her district, she functions as Returning Officer. She renders active help during decennial census. She controls and regulates the distribution of scarce essential commodities, etc. She keeps liaison with military authorities in her jurisdiction and is the Competent Authority for requisition of land for military purposes. In any matter of public importance which does not fall specifically in the sphere of any government department, State or Central, she, as a general administrator, is required to take cognizance of the matter in public interest and take it to its logical conclusion with the help of some Government department or by processing the matter in his own office. In short, there is nothing of importance which takes place in the district with which he is not associated, directly or indirectly. The Sub divisional Officer (Civil) is a miniature Deputy Commissioner in his subdivision. In fact, under many revenue legislations, he is invariably vested with powers of Collector, to be exercised within his jurisdiction. He also hears appeals as Collector of the subdivision, against the orders of Assistant Collectors, Grade II (Tahsildars and Naib-Tahsildars) and Assistant Collectors, Grade I (Tahsildars in partition cases). He is either a junior member of the Indian Administrative Service or a senior member of the State Civil Service, who has earned extensive experience in subordinate positions. He exercises direct control over the Tahsildars and his staff in his subdivision. He is the normal channel of correspondence between the Deputy Commissioner and the Tahsildar in his subdivision. The officer incharge of a tehsil is called Tehsildar. However, there is no substantial difference in the revenue and magisterial duties of a Tehsildar and a Naib-Tehsildar, In revenue matters, both exercise the powers of Assistant Collector, Grade II, in their circles as Circle Revenue Officers. Tahsildars and Naib-Tahsildars are appointed as ex officio Executive Magistrates in the district of their posting provided they have passed the respective prescribed Departmental Examinations in Criminal Law Paper by the Lower Standard as well as in the Language Paper. However, a Tehsildar is vested with powers of Assistant Collector, Grade I, with regard to the partition cases, which power he exercises in whole of the tahsil; the Naib-Tehsildars are not vested with this power. Also, as senior Revenue Officer of the Tehsil and as overall incharge thereof, a Tehsildar has powers of co-ordination and distribution of work among Circle Revenue Officers, the Naib-Tahsildars and himself. He is a Class II gazetted officer of the State Government which a Naib-Tehsildar is not. In this regard, a Tehsildar is competent to make and issue certificates as a gazetted officer. All recommendations in lambardari cases, even in the revenue circles of Naib-Tahsildars, are routed through him to Sub Divisional Officer (Civil) and to the Deputy Commissioner. For elections to the Vidhan Sabha, a Tehsildar is, invariably be appointed as Assistant Returning Officer for the constituency/constituencies falling in his tehsil. The Tehsildars and Naib-Tehsildars are responsible for collection of land revenue and other dues payable to the Government. To remain in touch with the subordinate revenue staff, to observe the seasonal conditions and condition of crops, to listen to the difficulties of the cultivators and to distribute the taccavi loans, the Tahsildar and Naib-Tahsildars extensively tour the areas in their jurisdiction. They decide urgent matters on the spot, like correction of entries in the account books, providing relief to the people faced with natural calamities, etc. On their return from tour, they prepare reports and recommend to the Government remission or suspen-sionofland revenue and bring the records uptodate. They also sit in the courts to settle disputes of tenancy, arrears of rent ejectment of tenants, entries in account books, etc. besides doing other kind of work. In the performance of their above functions, the Tahsildars and Naib-Tahsildars in Sangrur District are assisted by a Sadar Kanungo, who is incharge of revenue records at the district headquarters, 4 Office Kanungos (one at each tahsil headquarters), 4 Assistant Off ice Kanungos, 18 Field Kanungos (tahsilwise 3 in Sangrur, 6 in Malerkotla, 5 in Barnala and 4 in Sunam), 3 Peshi Kanungos and 316 Patwaris. The duties of a Kanungo are to superwise the work of the Patwaris. He is an important link between the Tahsildar/Naib-Tahsildar and the Patwari. Each Tahsildar is assisted by an Office Kanungo, besides a number of Field Kanungos. In Sangrur District, an Assistant Office Kanungo is also attached to each Tahsildar. The main duty of an Office Kanungo is to consolidate the information on different aspects of revenue administration. Similarly, in the Deputy Commissioner’s Office, there is a Sadr Kanungo who inter-alia is incharge of Patwaris’ and Kanungos’ establishments and carries out inspections of Patwar Circles and Kanungos Circles. Whereas, the Deputy Commissioner is regarded as the pivot of the district administration, the Patwari is the representative of Government at the village level, Upto 1906, he was paid by the village itself, but now he is a salaried Government employee. He has usually one or two villages in his charge. His local knowledge is so extensive that there is hardly any information about the village and its occupants of which he is not aware or of which he cannot make a guess. As such, he is viewed as the eyes and ears of the Collector. The duties of the Patwari include conducting of surveys, field inspections, recording of crops, revision of maps or reports relating to mutations, partitions, revenue or rents, taccavi, etc. Under the orders of the Collector, he prepares the records of rights. He is also required to assist in providing relief to agriculturists in distress or in census operations. He reports the crime and prepares maps to illustrate police inquiries. His special duty is the preparation of dhal bachh (papers regarding distribution of revenue over holdings). Lambardar is the most important functionary in the village. His main function is to keep watch over the law and order situation in his area and report the matter to the nearest police station in case of breach of law. It is also his duty to collect the revenue dues for Government from various sources and to remit these into treasury. He is given 5 per cent of land revenue collection which is called pachotra. He is the custodian of all government properties in the village. He also reports to the Tahsildar about the deaths of assignees and pensioners and their absence for over a year. Above all, he is the representative of Government in the village. He is assisted by a village Chowkidar.